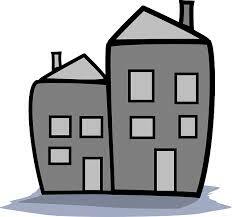 Blog Posts - GreyBeard Realty and Rentals . Our Realtors are ready to get out and walk this special land with you. Well, the votes are in, and Asheville has again risen to number one on another top ten list. This time, it's Travel+Leisure readers who have ranked hundreds of towns for their main streets, coffee bars and eco-friendliness, among other things. And, yes, Asheville won the title of Quirkiest Town in the US. Quirky or cool, Asheville is our number one pick. In their assessment, voters approved of the Friday night drum circle in Pritchard Park as well as the numerous local beers. Mentioned in the article are the beer/moonshine "hoptails" from the Grove Park Inn's Great Hall Bar as well as the BROO shampoo from Earth Fare. Of note, Asheville also ranked in the top 10 for great bakeries. All of this ranking and rating got us to thinking. Exactly what is it about Asheville that makes it so special? Is it the so-called quirkiness? Or is it more about the coexisting diversity within this comfortable community? For those of you who live here or visit here, what do you consider to be its real appeal? Let Greybeard Realty hear from you. We would love to compile our own list of the top ten best qualities of Asheville that makes it number one in our hearts. At Greybeard Realty, we monitor Asheville market news, always looking for indicators of how the housing market is growing. In the last month, we've seen some very interesting numbers that may foretell of further area growth in the coming year. In the month of July, the number of housing units sold in Buncombe County reached 374 units. This figure surpasses the 362 homes sold in July of 2006 which was the peak for the number of unit sold. While the July 2014 average sales price of each home was a bit below the 2006 high, we see other numbers the lead us to believe those prices may be increasing over the next year as well. For one example, the Asheville area had the lowest number of foreclosure filings in the last 5 years this summer with less than one in 100 homes going into foreclosure. With fewer distressed sales, prices should begin inching up. In addition, while year-to-date numbers are still slightly below the 2006/2007 peak in total sales volume and average price, both of those figures are up so far in 2014. Total Sales Volume is up 9% over the same period last year while average price is up 5% in 2014 for the same time in 2013. And perhaps the greatest indicator of potential growth in home price and sales volume is the continuation of the shrinking home inventory. From its peak of 3472 units for sale as this time in 2010, the number of units on the market year-to-date for 2014 stands at 2056 homes. At Greybeard, we understand that one month of numbers do not represent a trend. We also know, however, that as the Asheville housing market continues to show these positive signs, it is reasonable to anticipate that the market will continue to show this strength. To see what's on the Asheville real estate market, browse through our Asheville listings. And please contact Greybeard Realty if you're ready to make a move to the Asheville area.